As it winds down its spectacular mission to Saturn, the Cassini satellite is sending back some great shots of Saturn's zoo of moons. 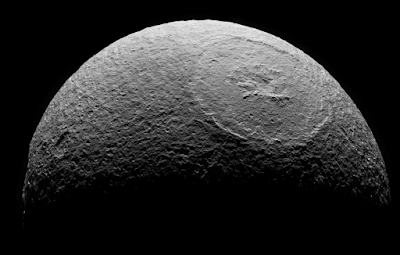 Most recently, it focused on Tethys. This is a big big big picture, made of 14 shots. Click on it to see what I mean.